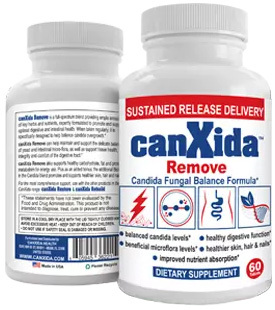 Adding Tempeh to Your Candida Crusher Diet - YeastInfection.Org by Eric Bakker N.D. I can still remember when I first experienced tempeh, I was in my twenties and tried a tempeh burger at a vegetarian restaurant and was blown away by the unique flavour. Have you ever tried tempeh? It is made from soaked and then partially cooked soy beans to which a fermentation starter containing spores of the fungus Rhizopus oligosporus have been added. This mixture is then spread out in a thin layer and allowed to ferment for a day or so and temperatures of around 30°C (86°F). In the best tempeh of the highest quality, you will find that the beans are knitted together by a fine white mat of the fungus. Lower temperatures may result in a darker tempeh that does not affect the quality or the taste. Tempeh originated in Indonesia, and they consider it a good food once it has fermented for several days. The best ways to describe the taste of tempeh is meaty, nutty and complex. I eat tempeh regularly and sometimes find that it tastes just like hamburger meat. This is the closest thing to meat you can get in a vegetarian sense, and if you are a devout meat eater and want to move away from animal proteins than tempeh is for you. Over the years I have seen several vegetarians who gave up eating meat entirely only after discovering tempeh. Tempeh is an unusual food that is non-meat yet high in protein and beneficial bacteria that can even produce vitamin B12. During the fermentation process, the phytic acid content of soy is reduced which allows your body to readily absorb more minerals. The rhizopus fungal culture helps to break the carbohydrate content down, especially the oligosaccharides that are associated with the production of bloating and gas and can even produce indigestion. I’ve noticed that those who eat tempeh once or twice a week appear to have a better digestive and bowel function than those who don’t. Can you imagine for one minute if you ate tempeh regularly, as well as kefir, sauerkraut and yogurt? Your yeast infection would find it very hard to exist indeed in such a healthy digestive environment. What do you do with tempeh, how do you cook with it? Treat tempeh like you would a piece of chicken or beef steak, you can fry it, roast it, cut it into pieces and stir-fry it, tenderize it a little, cook it and then make a burger with it along with all your regular favorite toppings of lettuce, grated beetroot and carrot, tomato, etc. You can use tempeh in soups, stews, casseroles, salads, and sandwiches or just cook it and eat it alone. You can use it in tacos and burritos, in chili, or any one of a thousand other ways. It freezes well and you can buy it from your local health-food store either fresh or frozen. The uses of tempeh are only limited by your imagination, but just think of it as a kind of meat and then you will probably have several idea of what to do with tempeh until you get used to this most versatile, delicious and nutritious food.